Alto | Tsugi : Software for Creatives. Modern games ship with thousands of dialogue lines when localized. How to make sure that all these files are in the right format, at the right level, have the correct duration and that nothing is missing, in all languages? Checking thousands of recordings manually is time-consuming and error-prone, when not impossible. 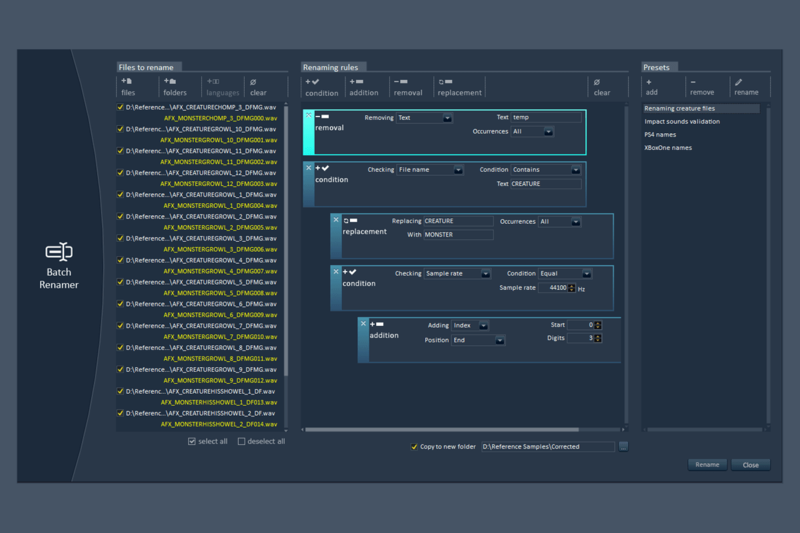 Alto analyzes your localized dialogue files and compares them with the reference files, reporting any mistakes and fixing them if needed. 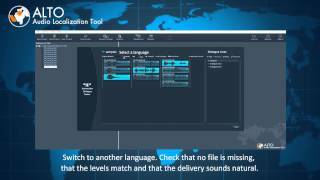 Let Alto do the work and deliver localized dialogue of the highest quality, faster than ever! Alto supports an unlimited number of languages, with useful presets for FIGS, CJK, ZPHR and PTB. 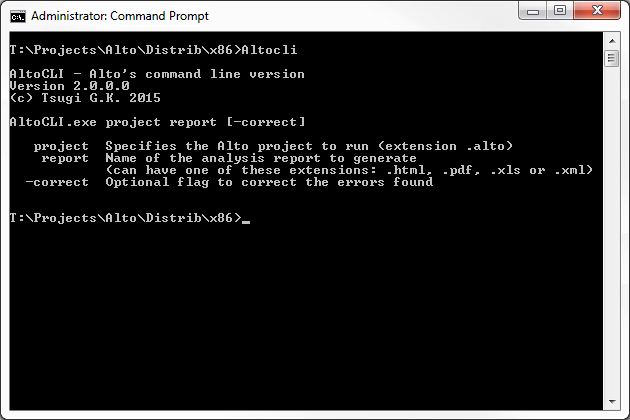 Alto displays very detailled and easy-to-browse error reports. Alto can fix all the mistakes it found automatically. 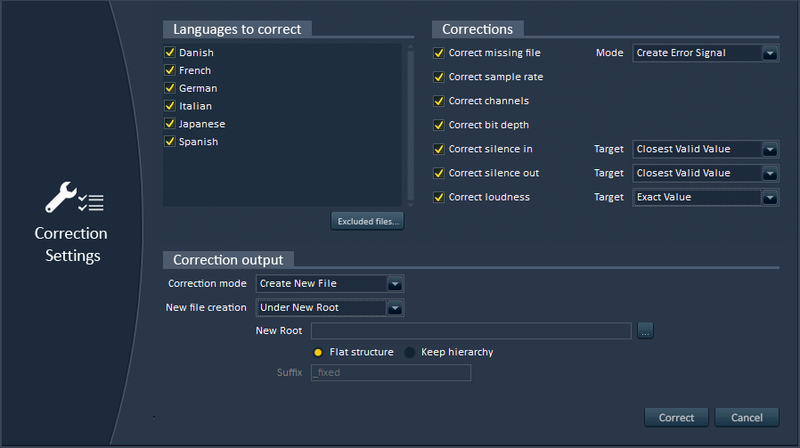 Minimize the errors so that they become acceptable, or make the localized files match the reference file perfectly. 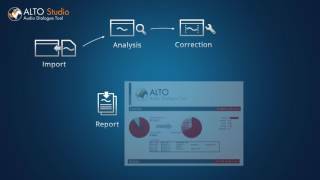 Alto can publish comprehensive reports to share with your client or your team. 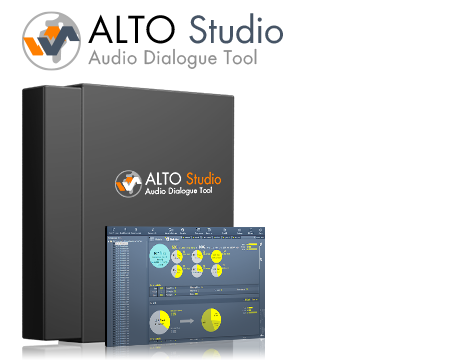 Alto Studio now includes VoiceFX, Tsugi’s technology for vocal processing. 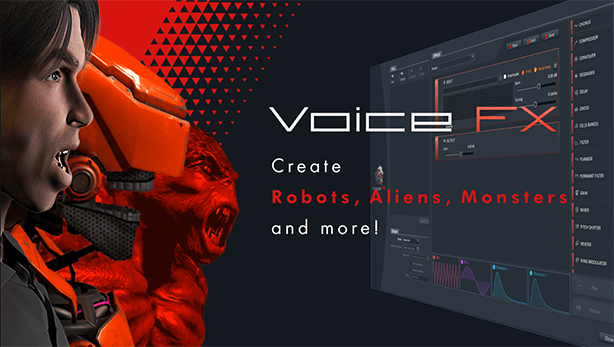 VoiceFX makes it possible to easily create robot, alien or monster voices and to simulate other effects such as radio transmissions or stadium announces. Of course, since everything is done in Alto Studio, all the dialog lines of a project can be quickly batch-processed, or only the lines in a given language, the ones spoken by a specific character etc. Among the effects available are: chorus, compressor / limiter, convolver, degrader, delay, droid, graphic equalizer, filter, flanger, formant filter, gain, mixer, pitch shifter, reverb, ring modulator, saturator and vocoder. 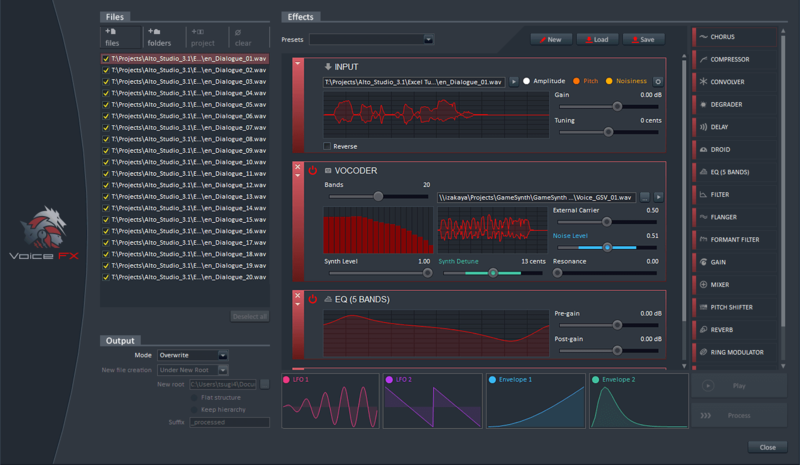 The parameters of these effects can be modulated by envelopes, LFOs and even by the amplitude, pitch and noisiness curves coming from the analysis of the processed files. 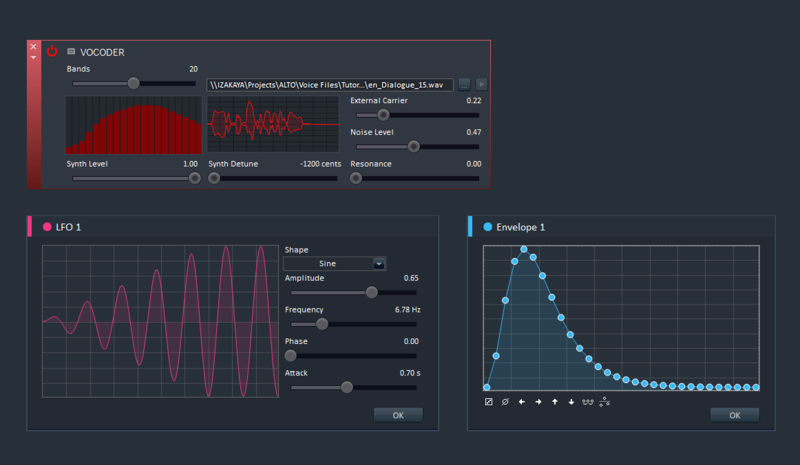 Enter a target loudness and process thousands of files automatically to match that level. Make sure that concatenated dialogue will sound as natural in the localized languages as in the reference one. 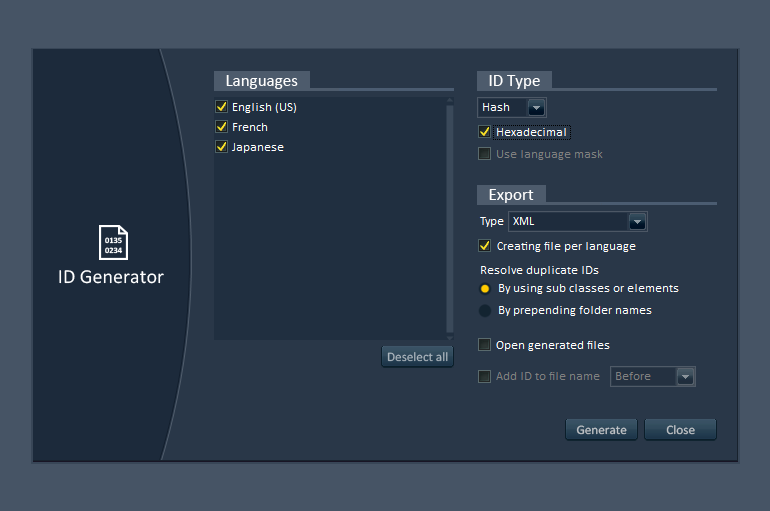 A versatile tool to rename thousands of files instantly by using a powerful rules system. 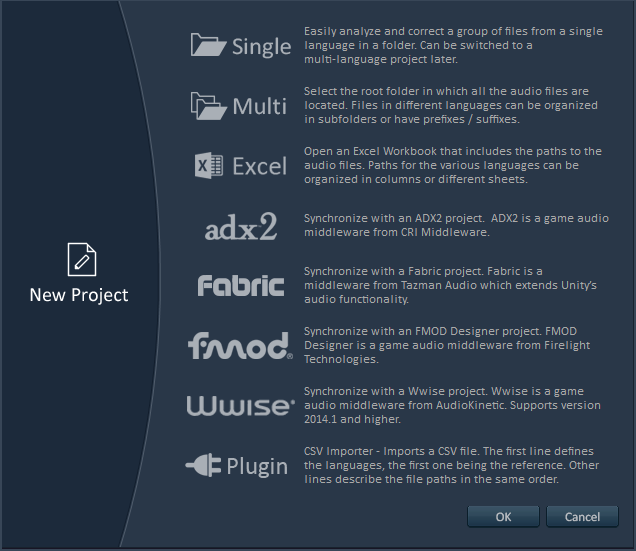 It can also rename files automatically based on their audio characteristics. 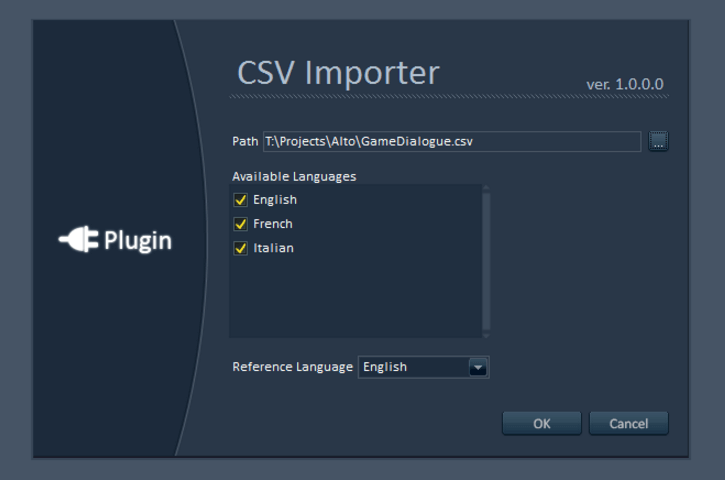 A convenient way to generate placeholder dialogue in many languages, simply by importing lines of text. 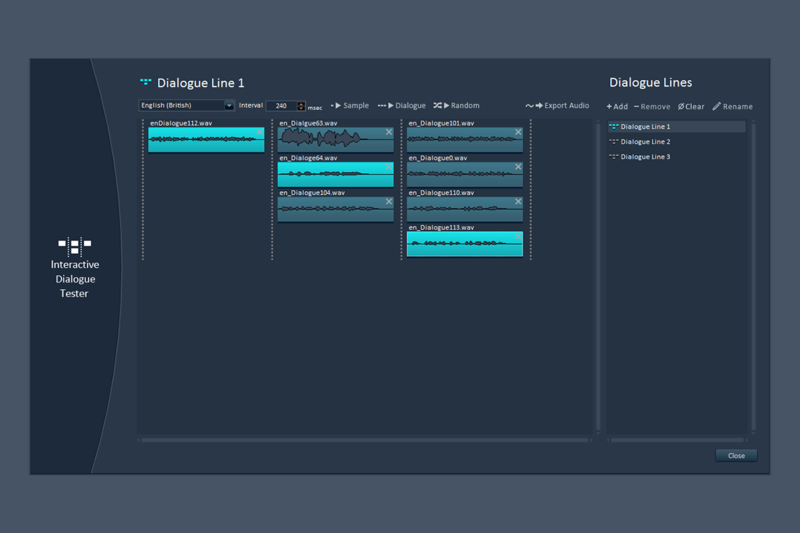 Import dialogue lines from game audio middleware projects (ADX2, Fabric, FMOD, Wwise). 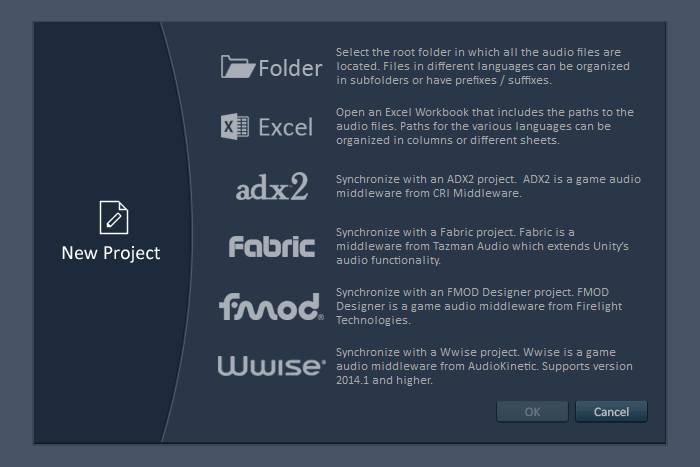 Interface with your proprietary tools or databases, or extend Alto’s features set. 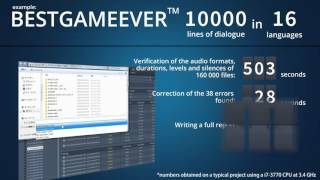 Generate run-time IDs of various types for each dialogue line. 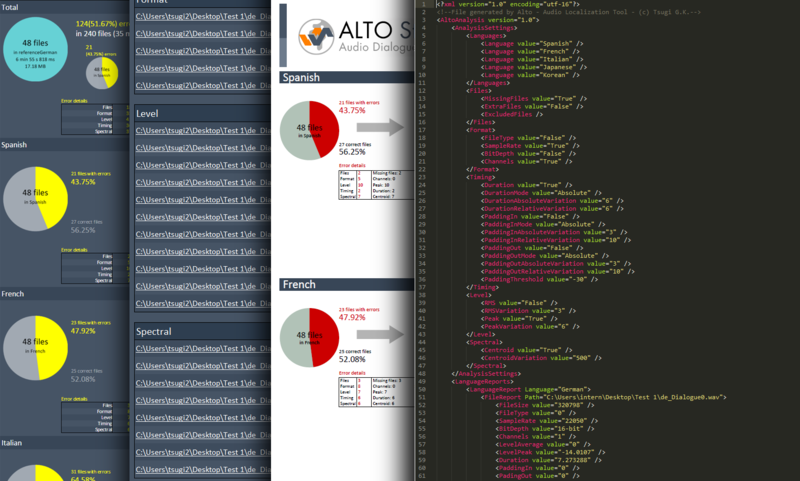 Call Alto from your build pipeline or your tools. 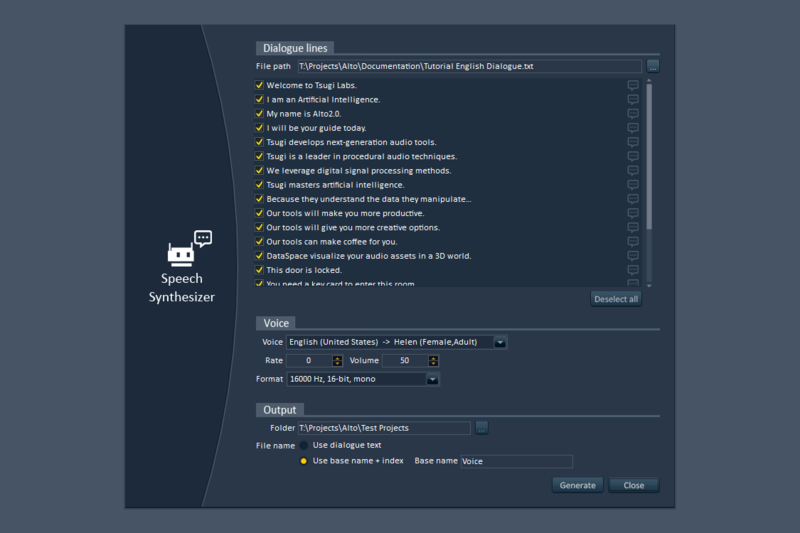 Alto Studio also supports batch processing with Tsugi’s own AudioBot™, LipSync data generation with FaceFX™ from OC3 Entertainment and many other unique features. 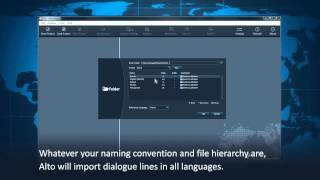 Get Alto Studio, the audio dialogue tool that compares thousands of voice files in different languages in the blink of an eye and generates exhaustive reports. It checks audio formats, loudness, durations and more. 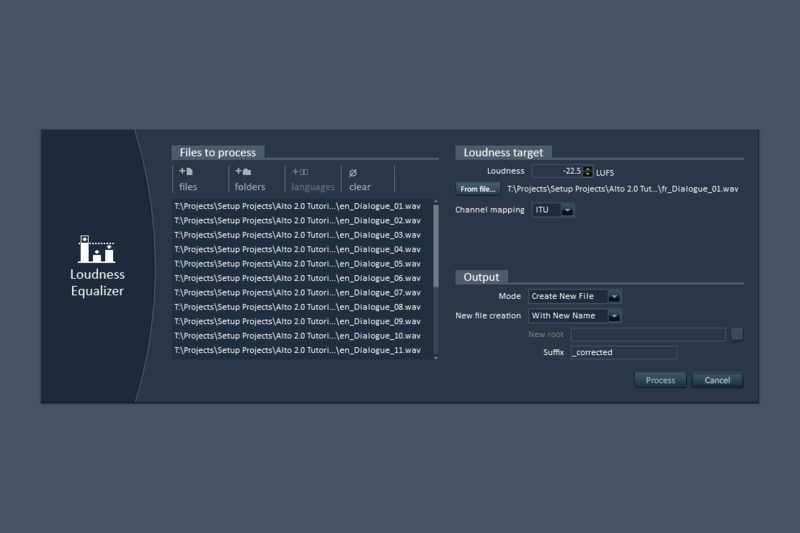 It can also interface with game audio middleware. For Windows 7, 8 and 10. 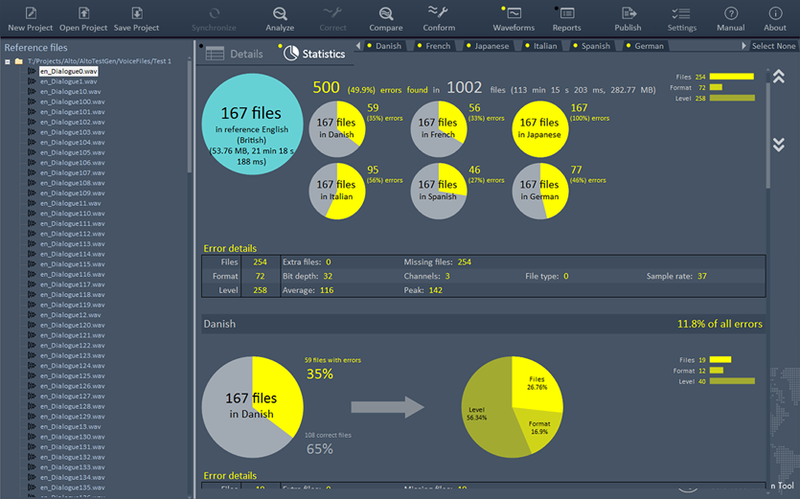 The free trial version of Alto Studio is limited to the analysis of 50 reference files and their localized counterparts at a time. 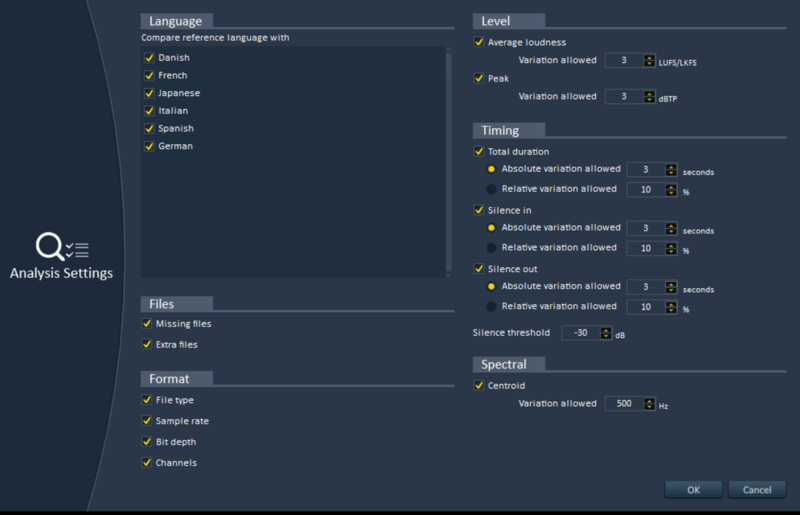 Some functions from the Tool menu are also limited.